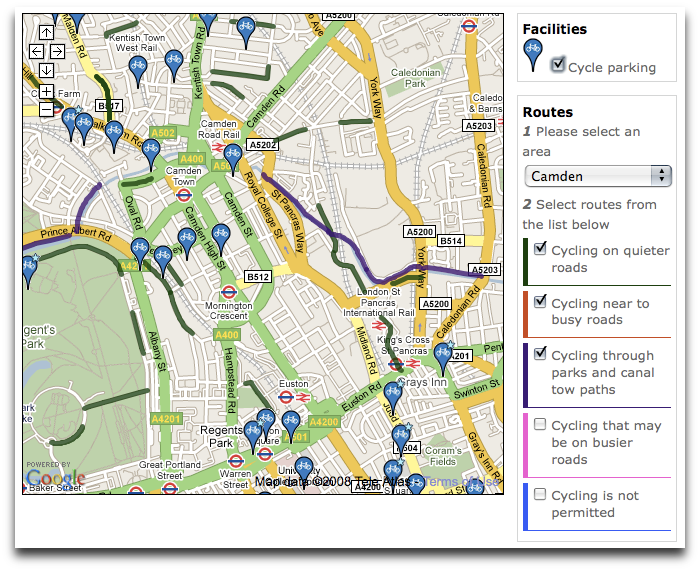 Even better is Camden Cycling Campaign's route map, which has more routes and the option to use either Google or OpenStreetMap. 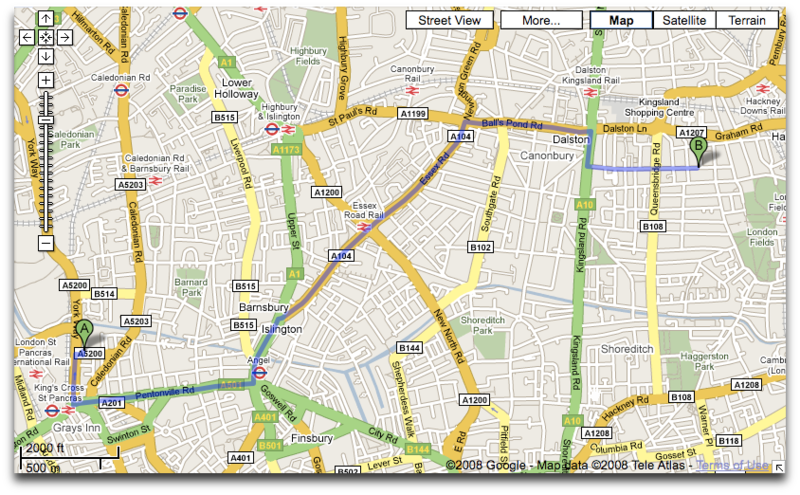 The TFL Journey Planner's cycle routes are pretty good too, if a bit awkward to read when split over multiple pages. 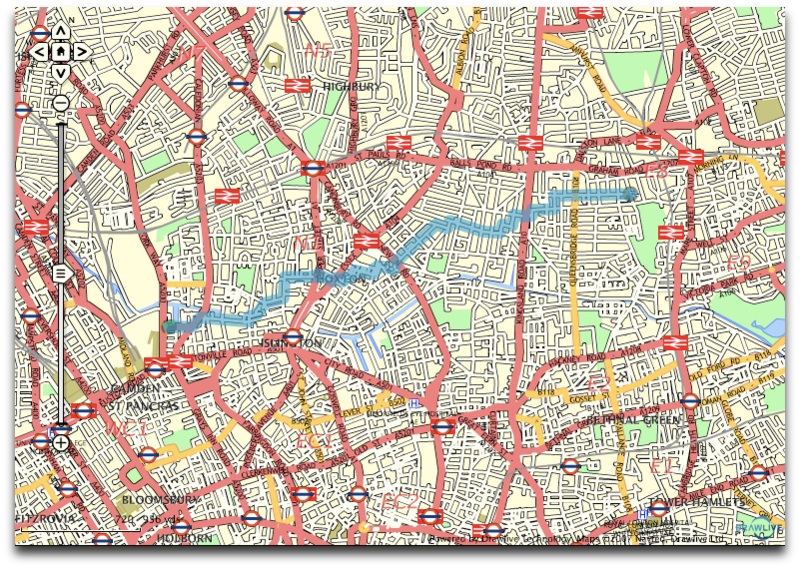 An "interestingness" threshold, for when you want to explore landmarks and pass through pleasant areas while walking, rather than just getting there, would be good.